Trio Motion Technology is an engineering technology company that designs high-performance motion and machine controls specializing in servo, stepper, hydraulic, and pneumatic for industrial automation. The compact stand-alone design is high performance and low-cost. Standard interfaces include EtherCAT, step/direction, and analog servo. 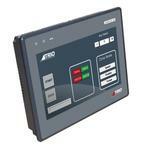 Controllers can be programmed in TrioBASIC and IEC-61131-3 styles to best fit the application. Motion functions include cams, gearing, linear, circular, spherical, helical interpolation, and robot control. 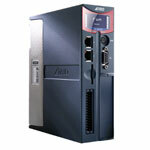 A variety of industrial communication protocols are available.